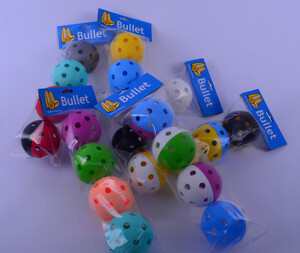 Gift set of 4 balls Bullet in four color combinations. 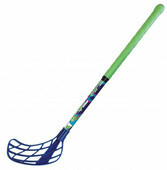 Necy Company Ltd. After two years of ambitious development introduced at the end of last year quality Floorball ball which parameters rivaling expensive míčkům for 50 CZK. The ball was tested in cooperation with the Czech national and extra-league players Pardubice. The ball is welded special technology - thermal, while the balls Swedish production are laser welded, our ball is thermally welded, which helps the ball longer life - Hemisphere are pressed tightly together.